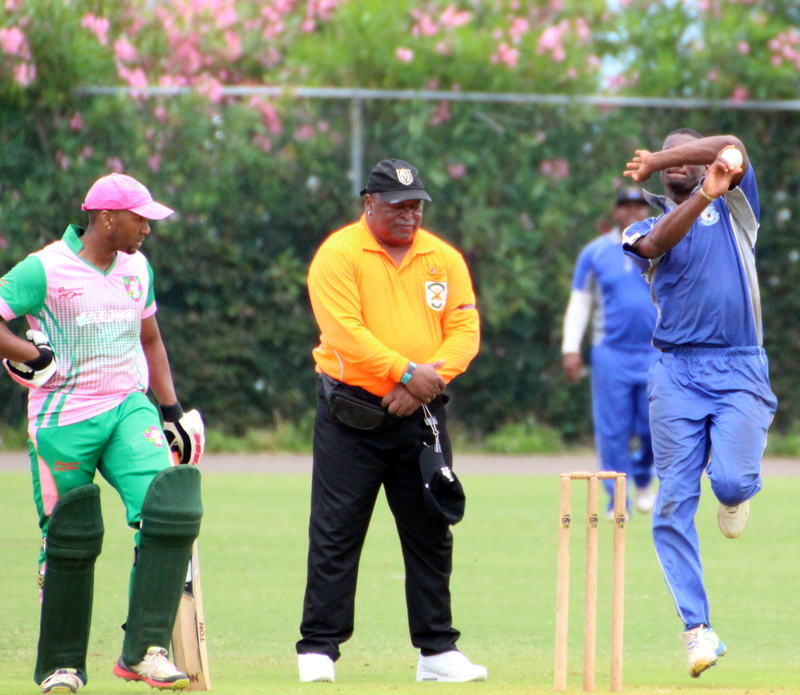 Cleveland County defeated Flatt’s Victoria by 5 wickets at the National Sports Center. DaJon Carey was the top scorer with a knock of 24, while Makai Young was the pick of the Cleveland County bowlers with figures of 8-1-28-4, while Qshai Darrell bowled 6-1-18-3. In reply Cleveland County scored 101/5, Darrell was the top scorer with 36, while Nelson Bascome was the pick of the Flatt’s Victoria bowlers returning figures of 7-1-32-4. Somerset Bridge won a low scoring affair at the White Hill Field when they defeated PHC by 3 wickets. Batting first PHC were bowled out for 79, with Jaloni Albouy the top scorer with 32, while Jamie Raynor was the pick of the Somerset Bridge bowlers with figures of 6.4-0-13-4. In reply Somerset Bridge struggled but got over the finish line scoring 81/7, Clarence Trott was the top scorer with 20, while Dev Dinesh Hamuman was the pick of the PHC bowlers with figures of 9-2-27-5.